We have been getting more and more enquiries here at Country Wide Wealth in relation to acquiring both residential and commercial investmen t properties by using a Self-Managed Super Fund (SMSF). Whether it be purchasing a property outright using cash already held in your super fund or using a limited recourse borrowing arrangement or a unit trust arrangement, the following guide outlines key points and the various ATO rules and regulations that surround this topic. There has also been a lot of noise recently from Lending Institutions withdrawing their offerings from the market and changing their product range. At Country Wide Wealth we have the experience within our team and the ability to engage our extended team including legal professionals and accountants to assist you throughout this complex process. We have prepared this general advice guide as an overview of the options available for property acquisition. The rules about what can and can’t be done are often misunderstood. In this article we’ll try and clear up the confusion by explaining each of the ways that property can be held by an SMSF. An SMSF can buy a property outright if it has the cash. This is the simplest form of ownership as the fund owns all rights attached to the property. Any property is to be registered in the name of SMSF trustee. The SMSF’s share of rent is to be paid to its bank account. The SMSF’s share of property expenses should be paid or accounted for in the fund. The property cannot be used as security which includes mortgages, liens, caveats and other encumbrances. The property can be rented to a related party – provided it’s a business premises leased on market terms. 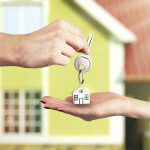 However, it should be noted that it is expressly prohibited to lease residential properties within an SMSF to a related party. Shortfalls in financing property can be funded by using an LRBA. Where an LRBA is used to acquire property, it must be in place prior to entering into the contract for purchase and the correct name must be placed on the contract. The name on the contract will depend upon the state that the property is situated. Usually it is the trustee of the security trust, but it is worthwhile to seek legal advice on the correct entity to be named. The main issues with LRBAs is getting the parties to understand how they work. Care and attention should be paid to LRBAs where the loan to the SMSF is made by a non-arm’s length party. Any related party loan must comply with the ATO’s rules for an SMSF related party limited recourse loan as part of an LRBA. An alternative solution to buying the property outright is for the SMSF to own part of it as ‘tenants in common’, maybe with a fund member. This allows the SMSF to have an interest in the property, say, a residential property owned with the fund member who is a ‘related party’. Providing it is not leased to the member or another related party then it may be okay. Don’t forget that property owned directly by the super fund, although owned as ‘tenants in common’, is unable to be mortgaged. One practical issue with the collection of rents and payment of expenses is that each party needs to receive the correct amount of net rent. This may be difficult to achieve in the long run and may end up with the SMSF breaching the rule to keep fund assets separate from those of the related party. If the property is purchased as tenants in common it is important the correct names are on the purchase contract. Both the names of the SMSF trustee(s) as trustee for the superannuation fund and the joint purchaser would usually be recorded on the contract. As another option, a ‘non-geared’ unit trust or company may provide a solution where an SMSF and a related party hold units in a private unit trust or shares in a private company. The tricks here are client discipline and understanding the issues. If the unit trust or company fails to meet the strict requirements of the rules, any breach will mean compliance problems for the fund. Ungeared trusts or companies holding property in this way allow the SMSF and the other unit holders to finance the acquisition of the property without the other unit holders making contributions via the fund to finance the purchase. This structure has advantage over the tenants in common structure, as the SMSF can increase its (indirect) interest in the property. In contrast, a ‘tenants in common’ structure does not allow the SMSF to acquire any additional portion of the interest in residential property where the ‘joint tenant’ is a related party. This is because of the operation of rules which prohibit the fund acquiring certain investments from related parties (section 66 of the SIS Act). This does not apply in the case of business real property. The use of a non-geared unit trust or company allows the SMSF to acquire the units held by the related party or parties over time to increase its ownership of the trust or company to of 100%. The units must be transferred at market value, so this may require future external valuations, and there may be income tax and stamp duty considerations. Any trust or company to be used for this purpose would need to be in place prior to executing a purchase contract in the name of the trustee of the unit trust. There’s also establishment costs of the unit trust and company as well as the annual financial statements, tax return and the annual ASIC fee for any company. The purchase of property by an SMSF can have many paths depending on how it will be purchased and the parties to it. Taking the effort to cross the ‘T’s and dot the ‘I’s is essential to ensuring property sits neatly within the fund and is not a toxic cocktail that can only be unmixed at a price. The main lesson for SMSFs investing in property is that there are many ways to do it and the most suitable way depends on the circumstances. That’s why getting advice on the how, when and why of property investment is always wise. Need some help? Don’t hesitate to contact us for further information. The information in this article contains general information and does not take into account your personal objectives, financial situation or needs. It is important, before deciding whether to utilise any of these strategies that you seek personal tailored financial advice with regard to your own situation.